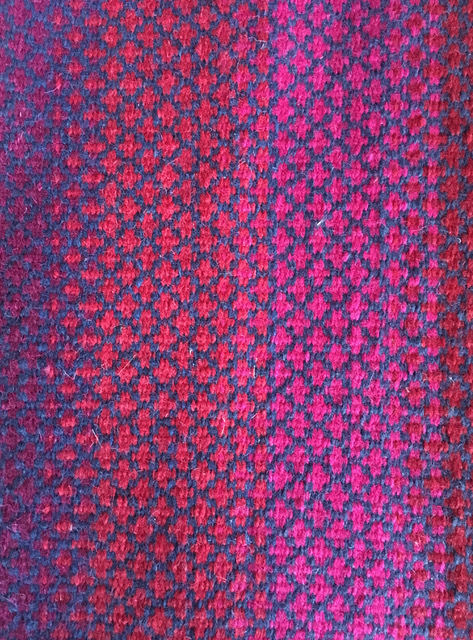 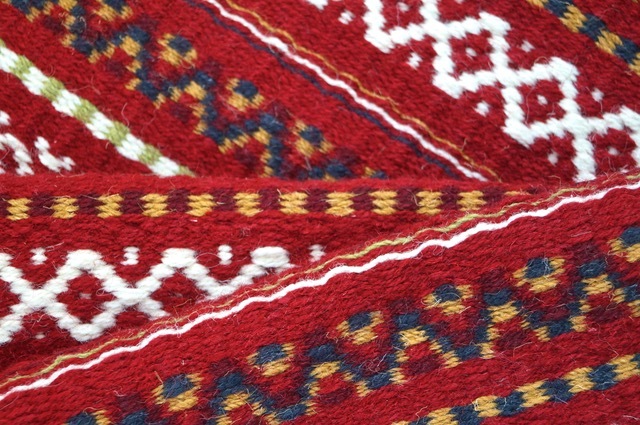 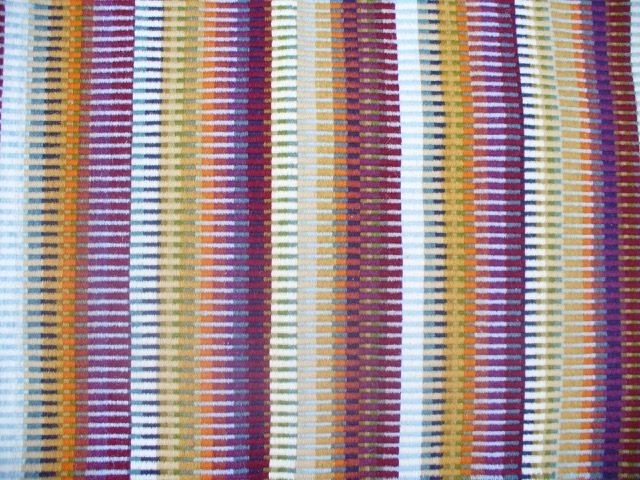 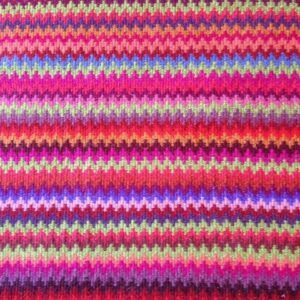 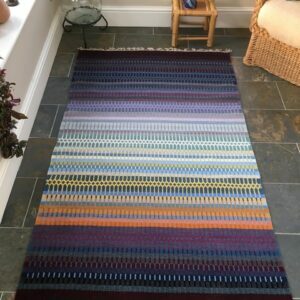 I discovered weaving when my family moved to South Devon many, many years ago and I stumbled upon a group of handweavers on the Dartington Estate, near Totnes. 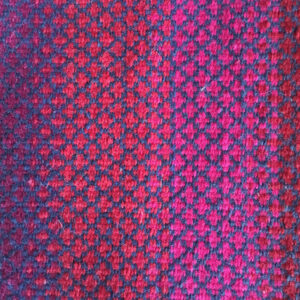 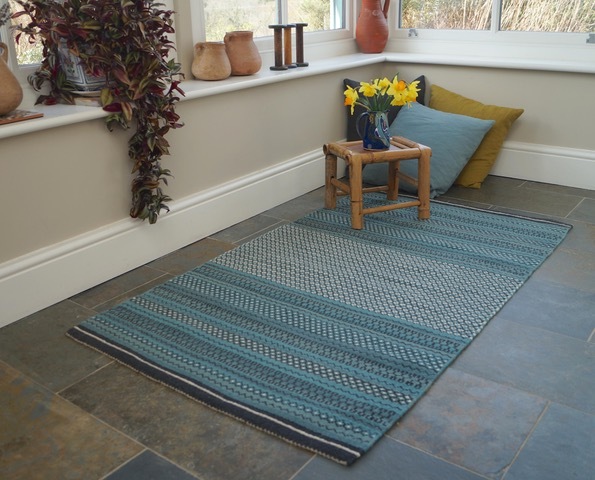 Some years later, I purchased a Glimakra floor loom and a passion was fired. 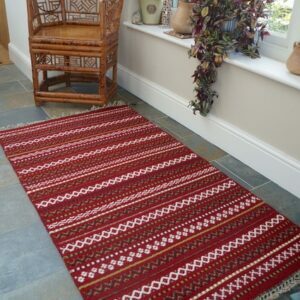 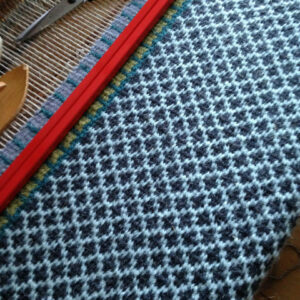 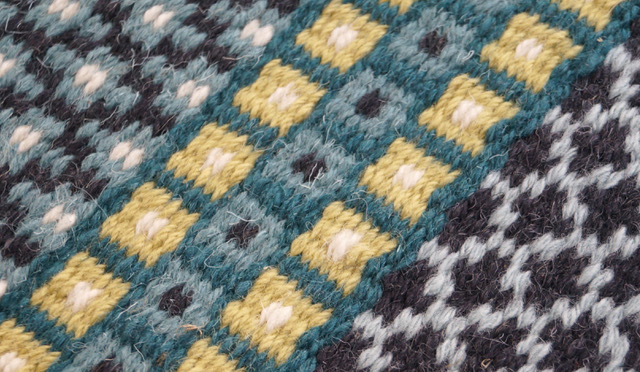 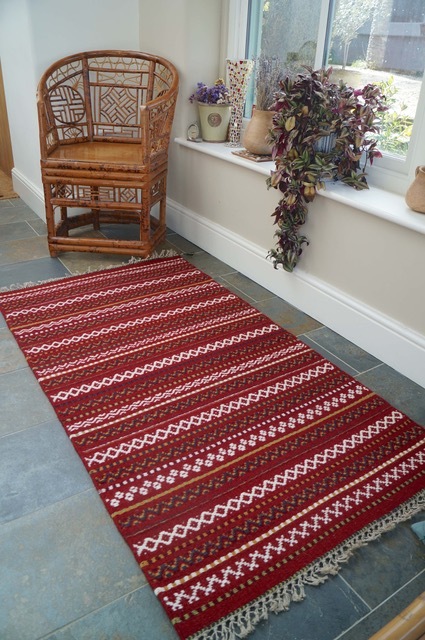 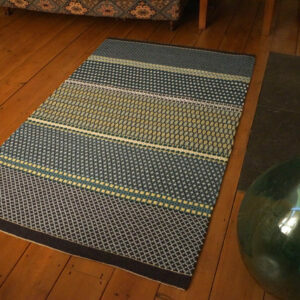 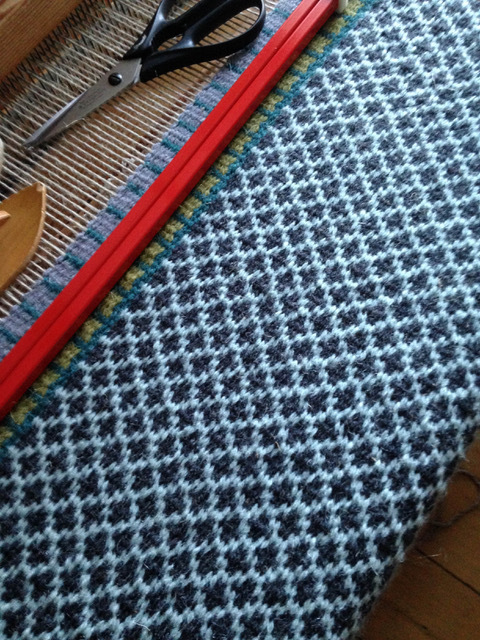 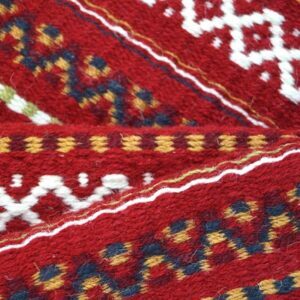 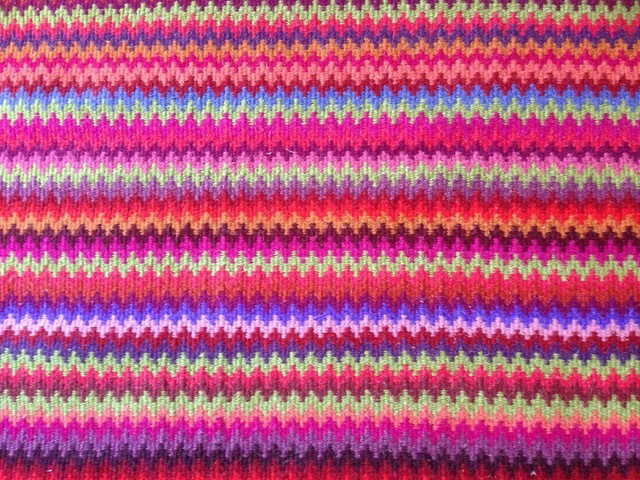 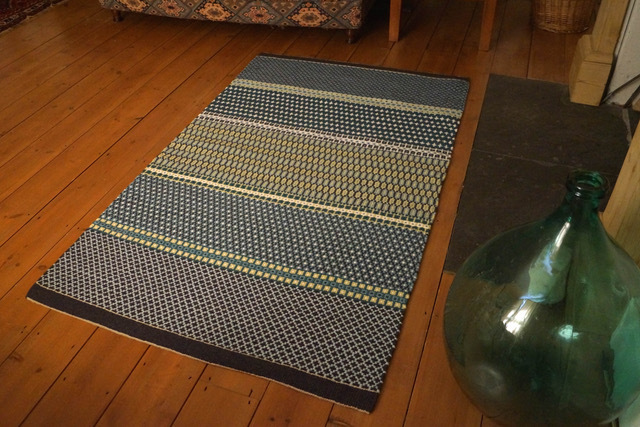 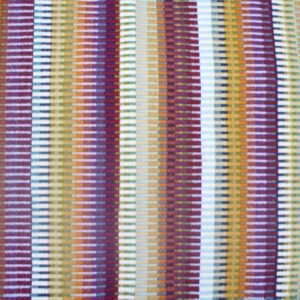 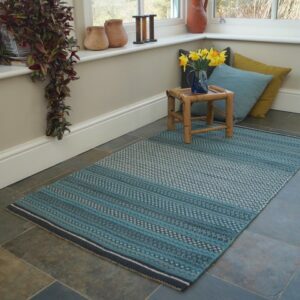 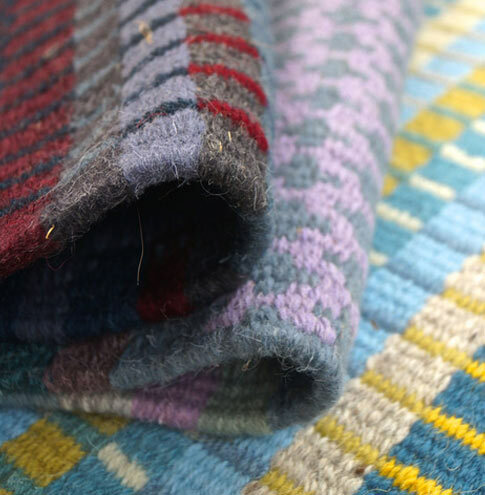 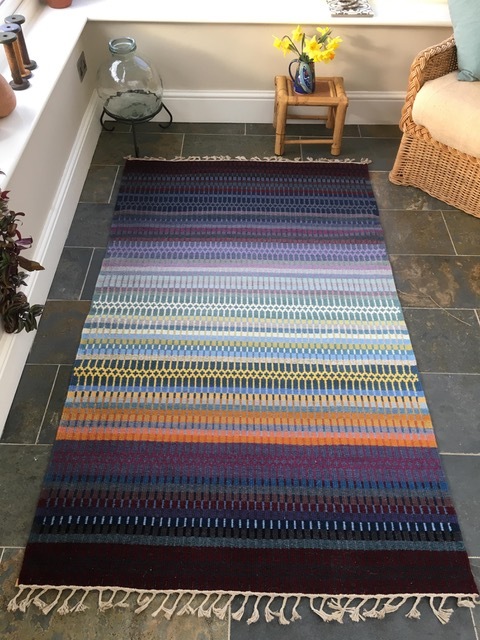 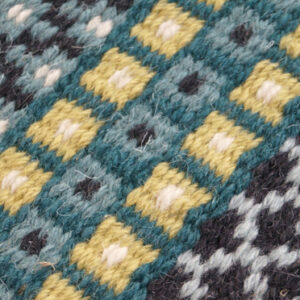 My designs are inspired by the light and landscape of Devon and from travels abroad and usually take the form of large and colourful rugs with Krokbragd or Rosepath, both Scandinavian weave structures.